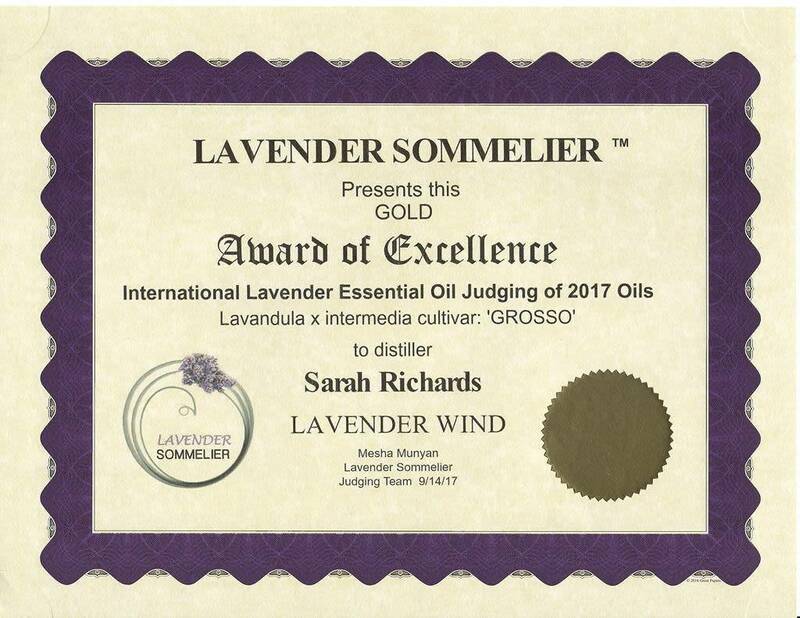 We grow the Lavendula x. Intermedia "Grosso" lavender, harvest it by hand, distill it, and then age it to make this the smooth lovely oil people have been using for years. Our essential oil is steam-distilled in our copper stills from our own lavender. 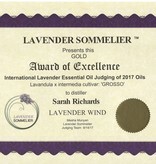 We grow all our lavender in a sustainable way that uses people instead of pesticides - so the oil is pure. Award Winning oil from a variety called "Super".